Belgium couple, Gerry and Sophie Verreth came home after their wedding to find that their house was completed walled in by a massive construction of 315 beer crates. The couple’s friends had gone to a lot of effort to create the unusual surprise. 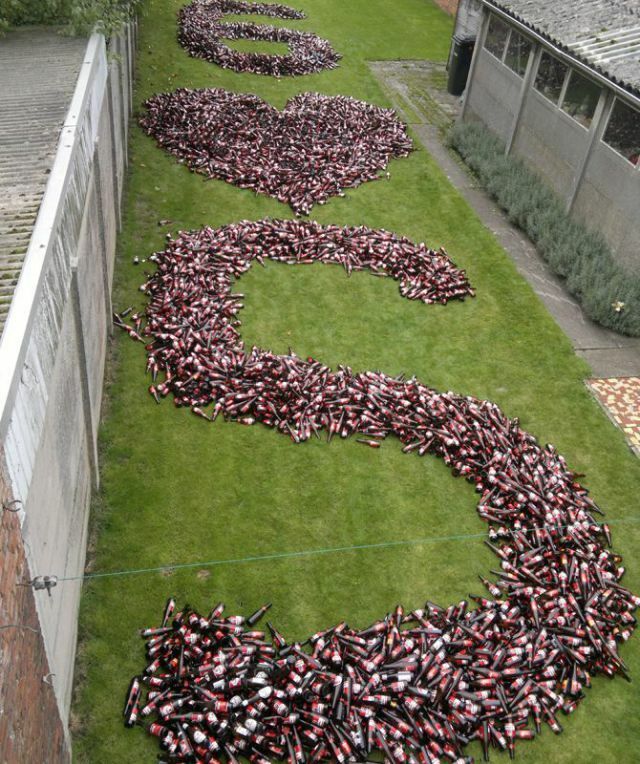 As for the 7500 empty beer bottles; these were placed their back yard and were laid out in a formation representing their initials with a heart.